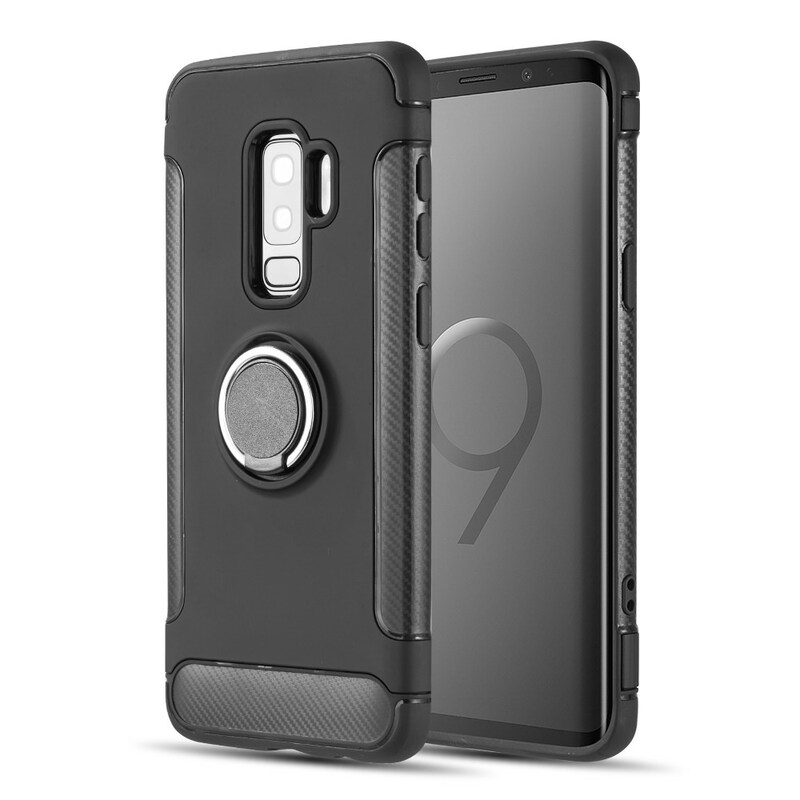 [Samsung Galaxy S9 Plus], [Black] Supreme Protection Slim Matte Rubberized Hard Plastic Case Cover with Kickstand and Swivel Belt ClipThis Samsung Galaxy S9 Plus Rubberized Hard Case w/ Holster Stand - Black is great for quick drawing your phone for usage! 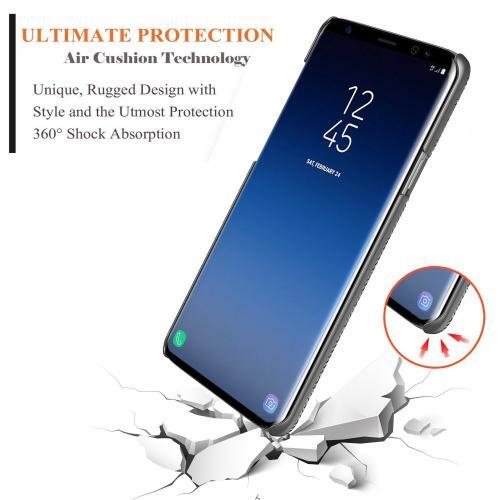 A quality product and made especially to fit your Samsung Galaxy S9 Plus. 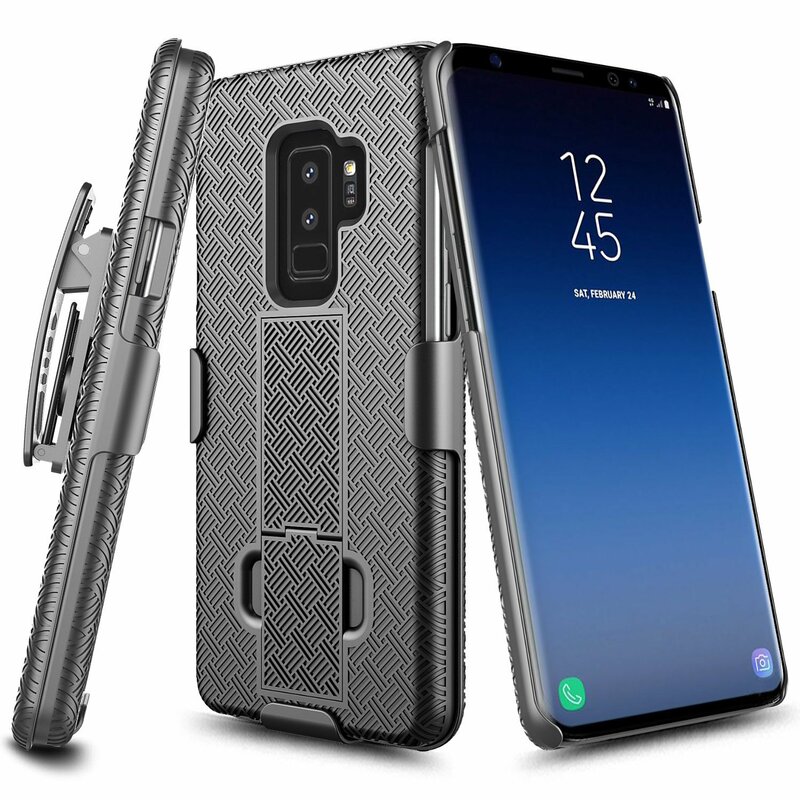 This Samsung Galaxy S9 Plus Rubberized Hard Case w/ Holster Stand - Black is great for quick drawing your phone for usage! 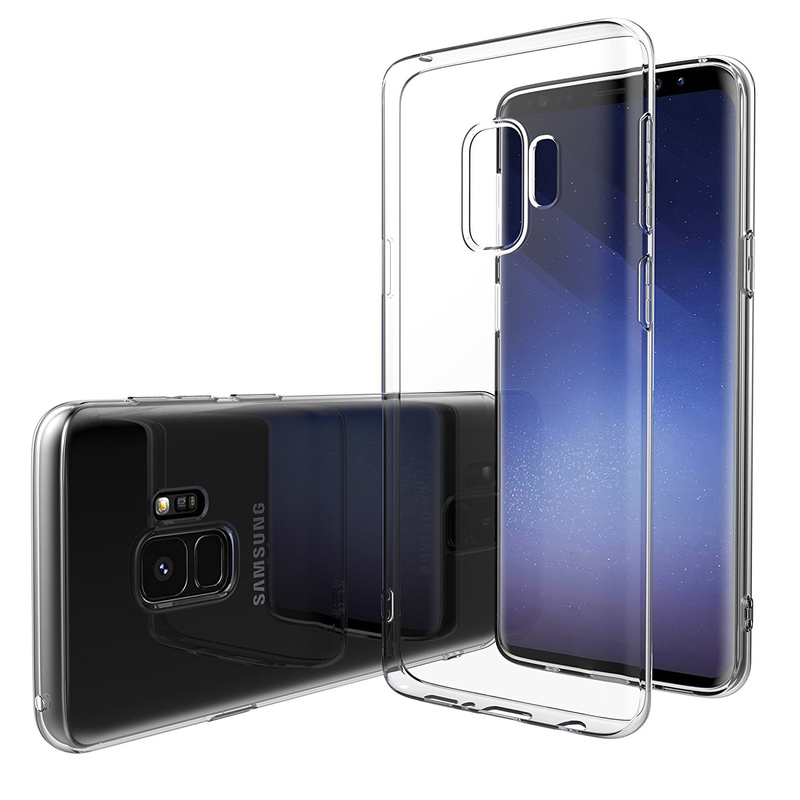 A quality product and made especially to fit your Samsung Galaxy S9 Plus. 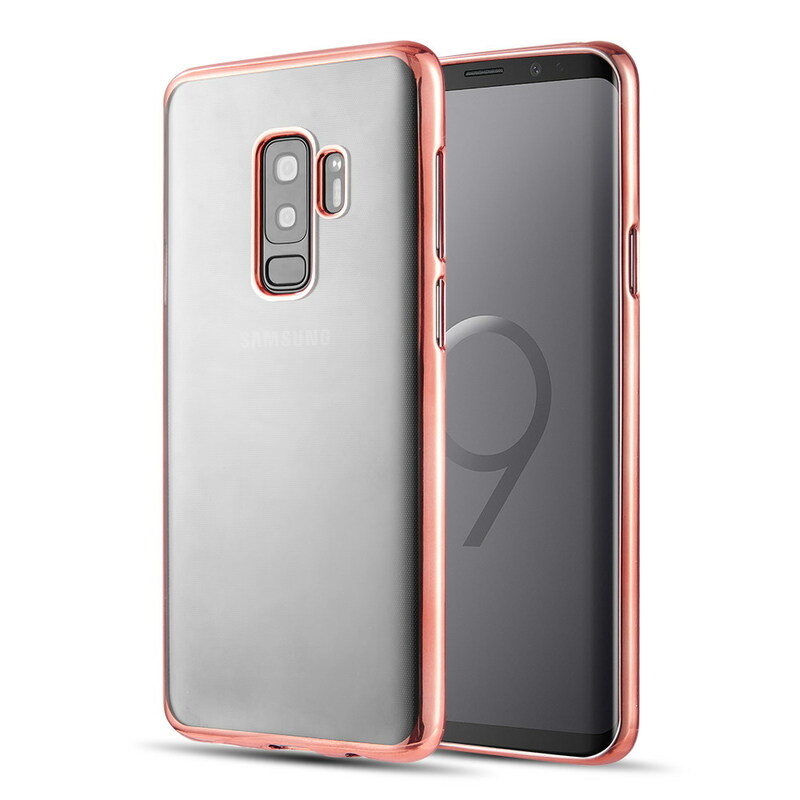 It's stylish and protective for your Samsung Galaxy S9 Plus. Quick draw your phone and slide out your phone from the holster that clips on to your belt or anywhere securely. 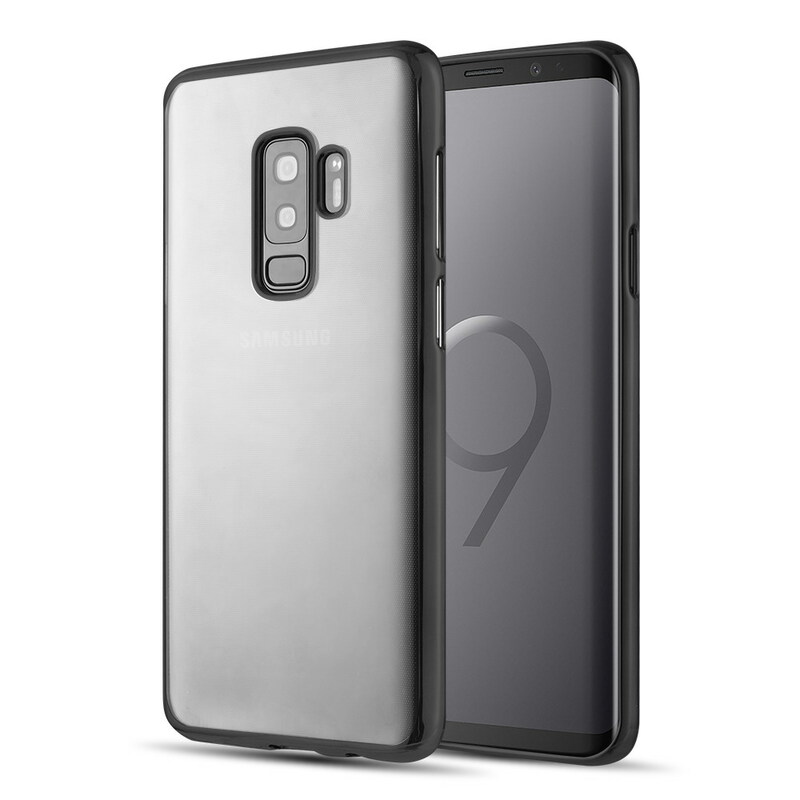 Prop up your Samsung Galaxy S9 Plus for great viewing position with the built-in belt-clip kickstand. 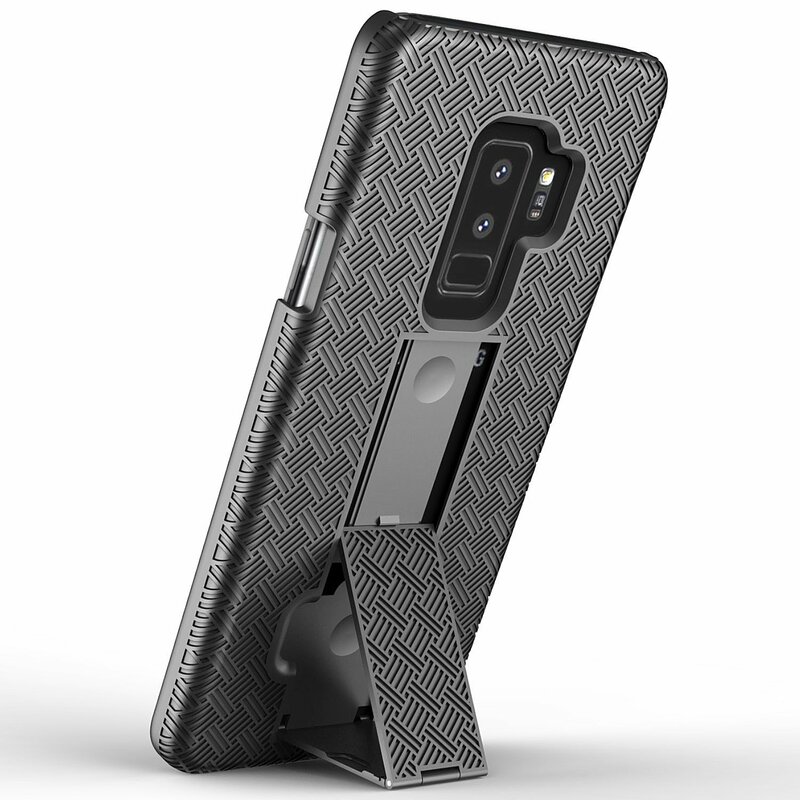 I absolutely love this case! Great fitting, durable, and sturdy. 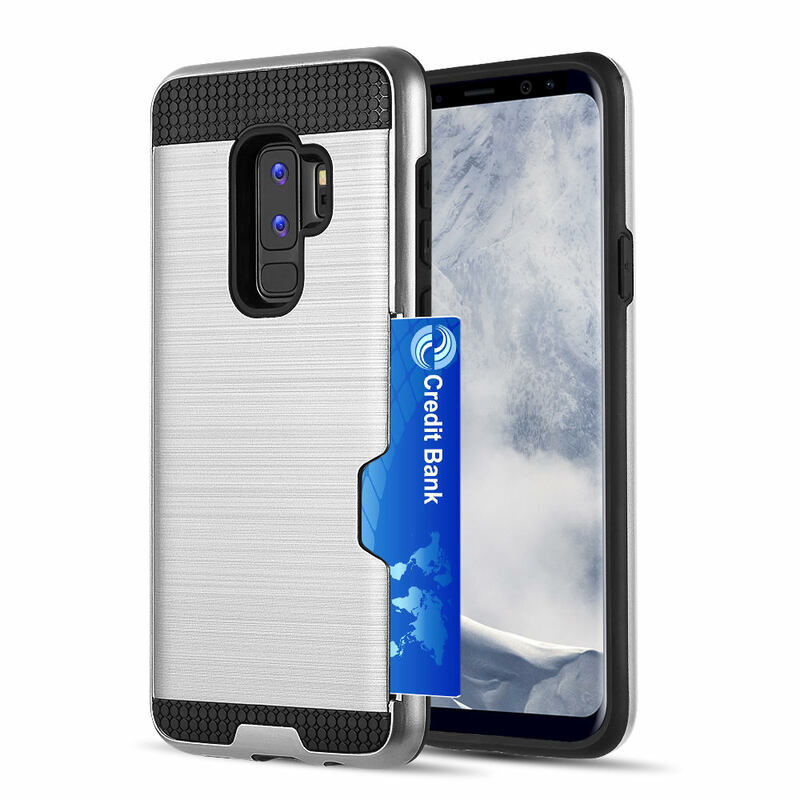 I have gotten compliments on this case and the clip is good quality as well. Kickstand was great for hands-free viewing. Purchased for my husband for his new Galaxy S9 Plus. He loves it! 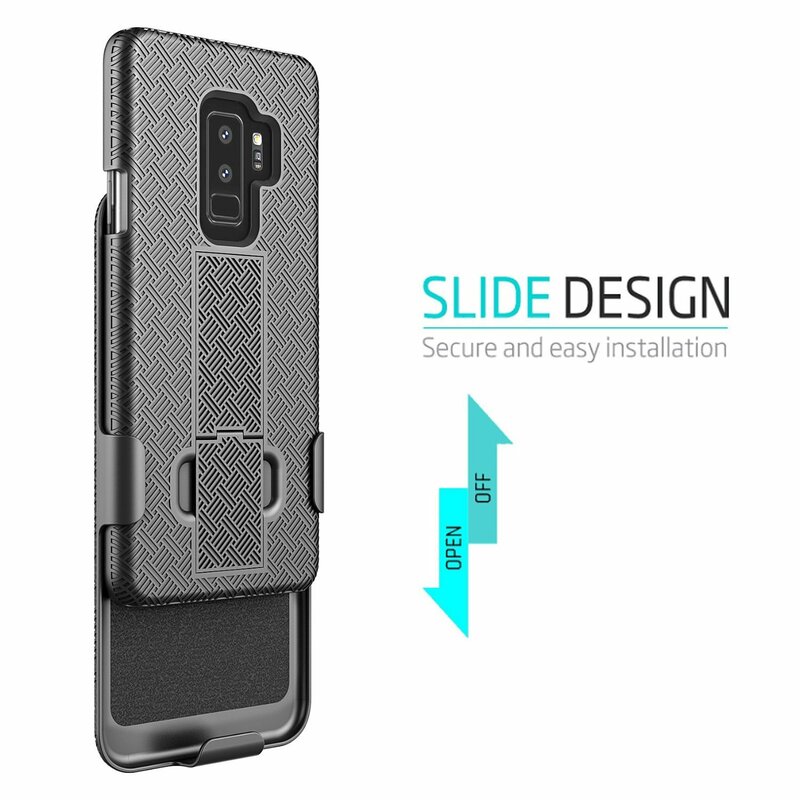 He likes the way this case protected his phone. 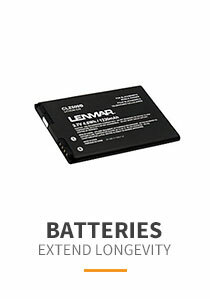 The product arrived exactly as described. I would definitely order another if I had to. 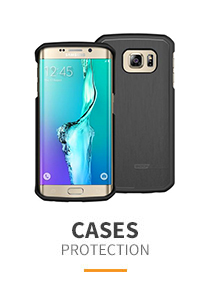 Very good case, slim, light, and sturdy enough for good protection! 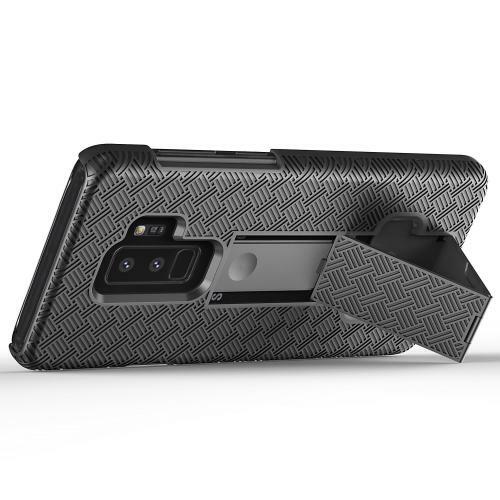 The belt clip holds securely and it protects my phone from most drops onto hard surfaces. Works just fine! 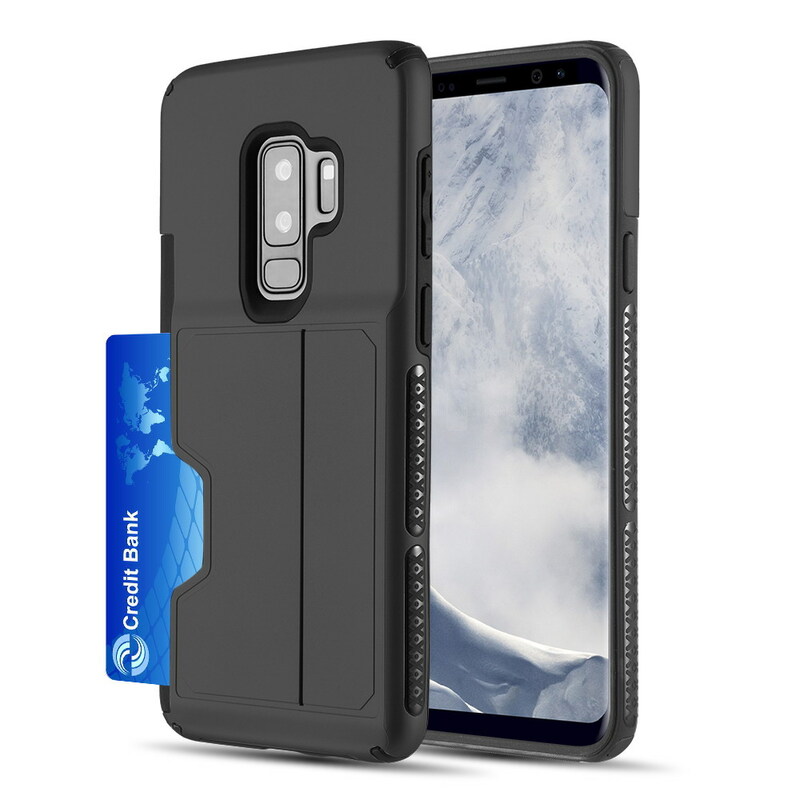 The belt clip holds securely and this case protects my phone from most drops onto hard surfaces. Easily slip into the holsters where it is held securely. Love it! 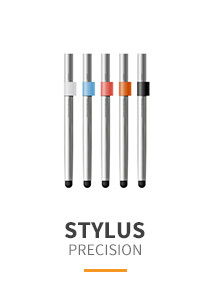 Very nicely designed and built a product. This is durable, convenient to carry around, and the clip is good and the grip is wonderful. The kickstand is great for hands-free viewing. Fantastic! 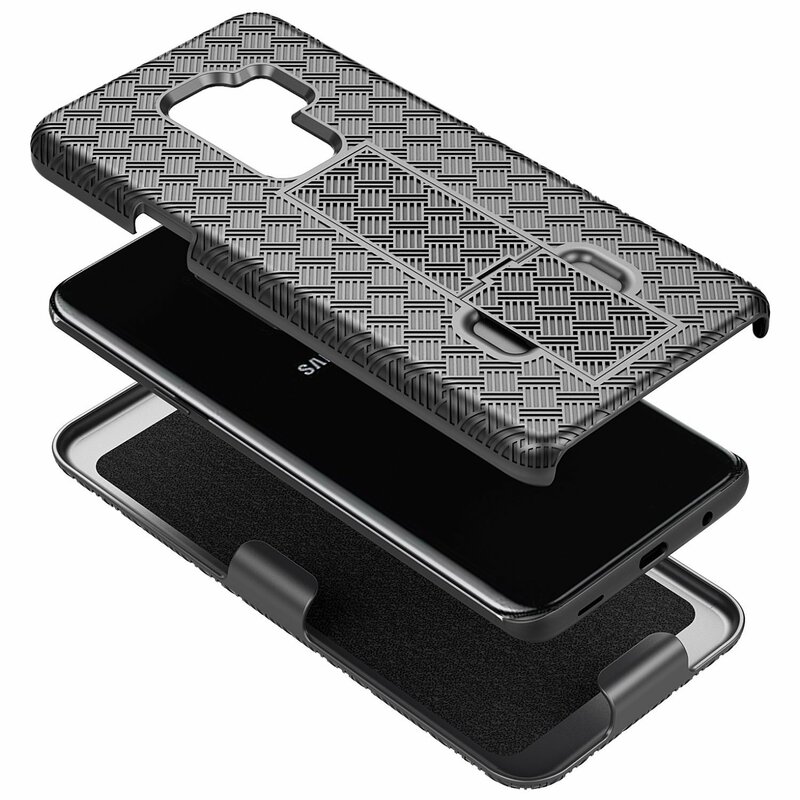 Perfect case and cover for my new phone. 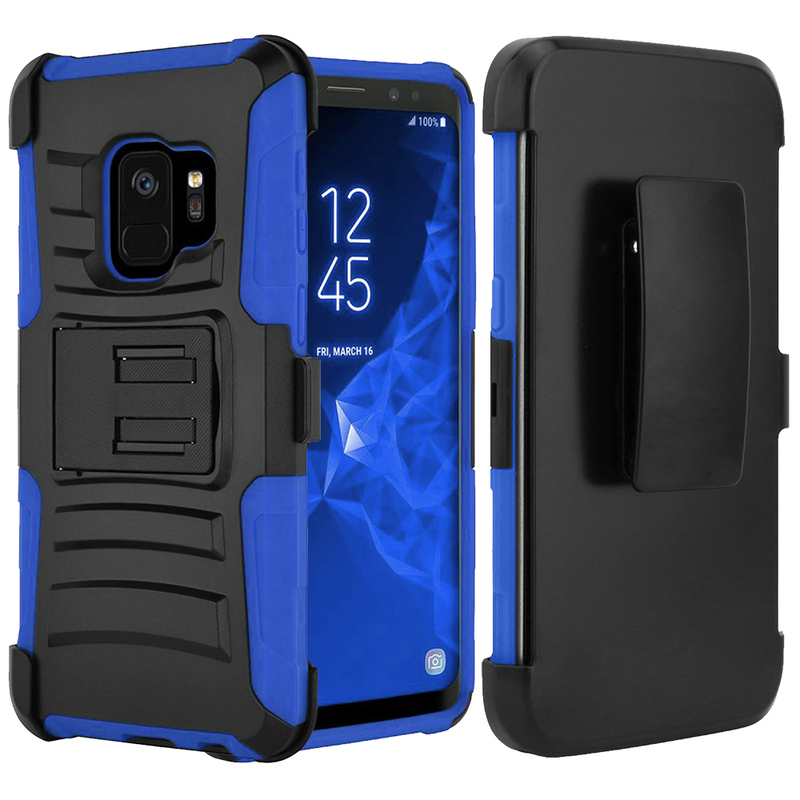 The holster holds well and the phone is easily removed. Super love to slide securely and kickstand for hands free viewing! 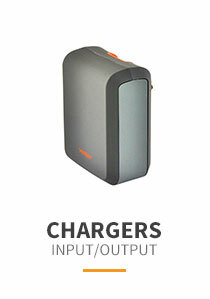 Shipped fast and works great! 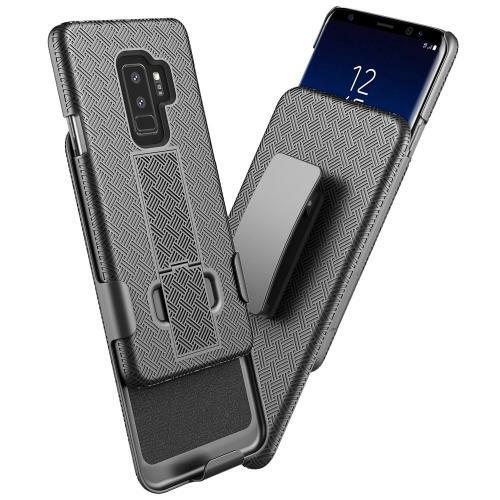 I love this Holster case for my Galaxy S9 Plus, exactly what I was looking for. 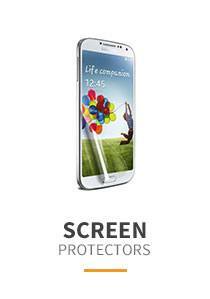 This is durable, quality made, and scratch resistant. 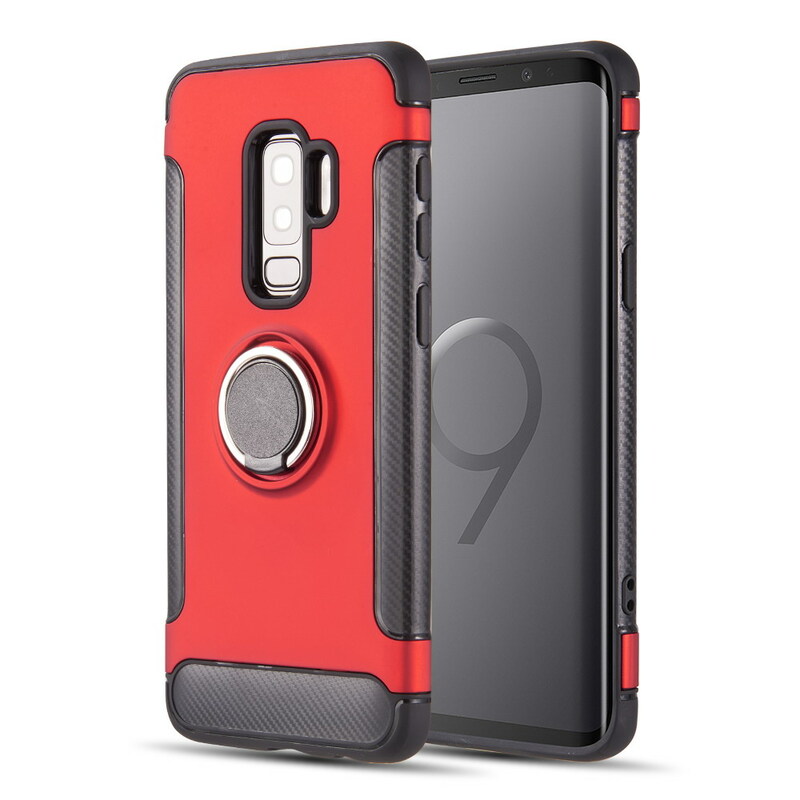 With built-in Belt clip, kickstand, and can props up the phone. Awesome! I just received my product and I'm really satisfied! It fits perfectly and doesn't add any bulk. 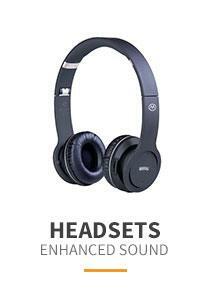 Good look and great to hold with reasonable price.